Few days back I was listening one of the Rekha's earlier interviews in which she mentioned that she reduced weight by eating popcorn for one year. I mean I can't do that and that's not a healthy way either. These days we see actresses look fit. Do you think they really starve? Some of them yes but lot of them follow balanced and healthy diet regime. If you listen to celebrity interview they always say eat right to stay fit. We will discuss what is eating right as its little ambiguous statement when quoted. People often go on crash diets means skipping meals but I believe in balanced diet as it will keep you healthy as well as you will meet you goal. How normally we should start our day. When you wake up, first thing to do is make a habit of drinking at least one glass of water (yes even if you are not thirsty). It could happen that when you start drinking for one or two days you might feel cramp in stomach but it won't be there after you will make it a habit. Best will be if you add one spoon of Dabur Honey and squeeze half a lemon and drink it. 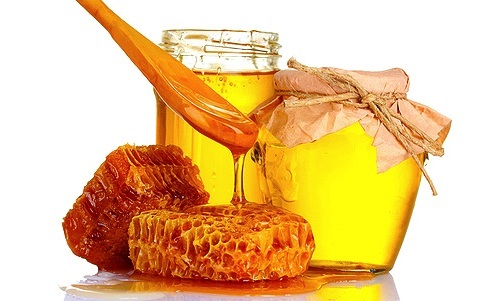 Adding honey to your diet or we can say Honey Diet is perfect solution to have balanced diet. It is proved that this solution is effective in reducing fat. 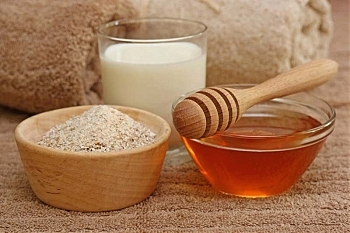 Also it provides healthy glow to skin and requisite nutrients to body. It helps in improving digestion and prevents cough and cold. When we talk about eating right, let me tell you what does it really means. Suppose your one time meal, lets say in breakfast you eat three paranthas normally every day. You are overweight and want to reduce. Lot of people in tension of loosing weight skip meals, that is a bad, bad idea. If you skip meals you will feel hungry and will end up eating more oily food like chips, chocolates. Also crash diets will lead to loss of nutrients in body, therefore no more glowing skin, hair instead avoiding complete meal reduce its quantity. Let's say instead of having three paranthas have just two. This way you have reduced fat content as well as no loss of nutrients. So you must be wondering what if I feel really hungry after eating breakfast, then to avoid that take two glasses of water before you start your meal. Its said that if you drink lot of water before meal your body needs less food as compared to if you don't. This technique has definitely worked for me, I hope it will for you as well. Also if you eat rice twice a day, make it only once.Instead of skipping a meal eat salad made of cucumber, tomatoes, lettuce, lemon, carrot one time. Adding salad to you everyday meals provides fiber and water level in body is maintained. You will feel light and healthy. Reduce sweets, chocolates, cold drink, chips intake. Vow to yourself that you will eat only if someone offers you. And you know not everyday you are going to be lucky to be offered chocolates. If we all follow this balanced, healthy diet regime, I am sure that day won't be far when we will be able to shed extra weight easily. Compromise on meal but don't compromise on nutrients.